…my trusty assistant, Number 2. Our sweet friends, Brad and Bekka, are spending the year living in NYC, while Brad attends grad school at Columbia. He’s kind of a smarty pants. I’m completely jealous…of the fact that he’s a smarty pants AND that they’re living in NYC for a year. 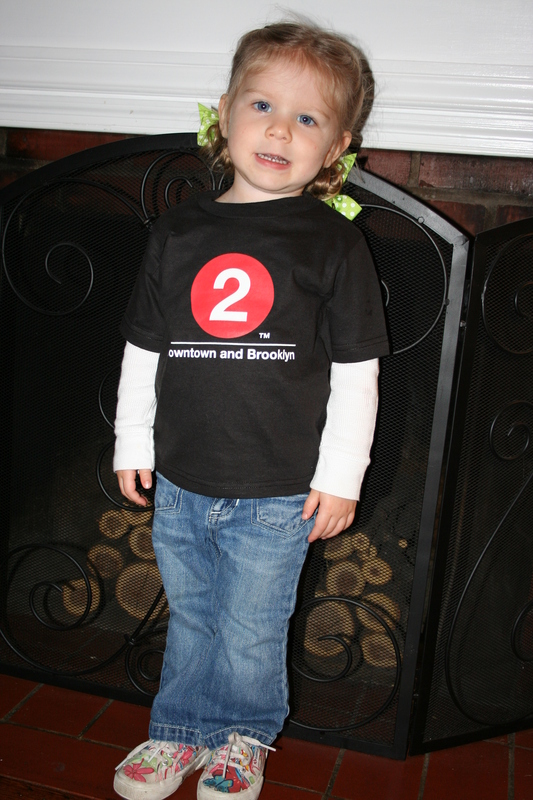 Bekka recently made the trek back to KC, and was so sweet to bring Arle this adorable subway t-shirt. I love NYC. I love the subway. I love Bekka. Therefore, I love this shirt. Oh, and I love that my girly-girl can totally pull off the rugged tomboy look. Girl’s got talent. And drool. She’s got it all just like her mother! I love it! 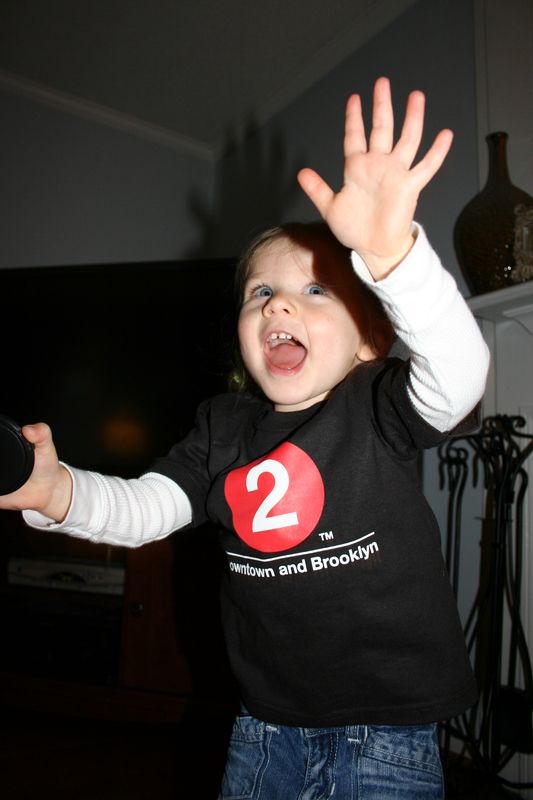 She looks very excited to be in her New York shirt. 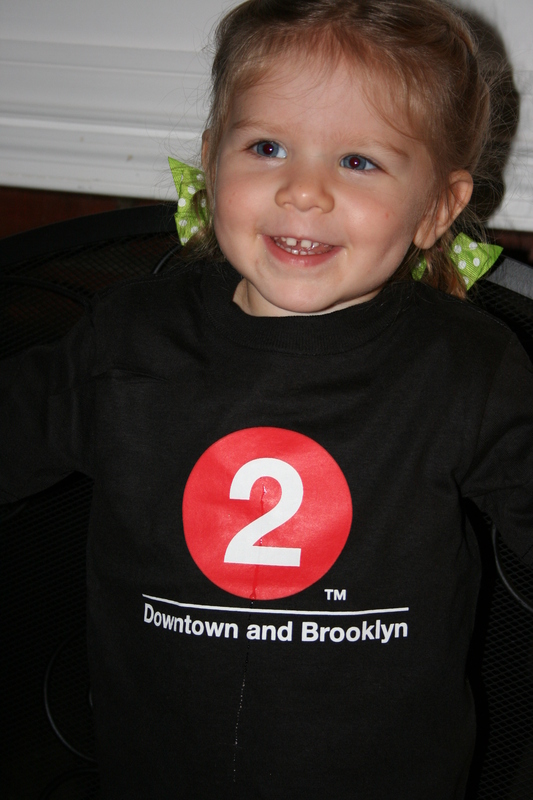 You can tell Arle that the #2 is the train I take to go from home to work everyday! 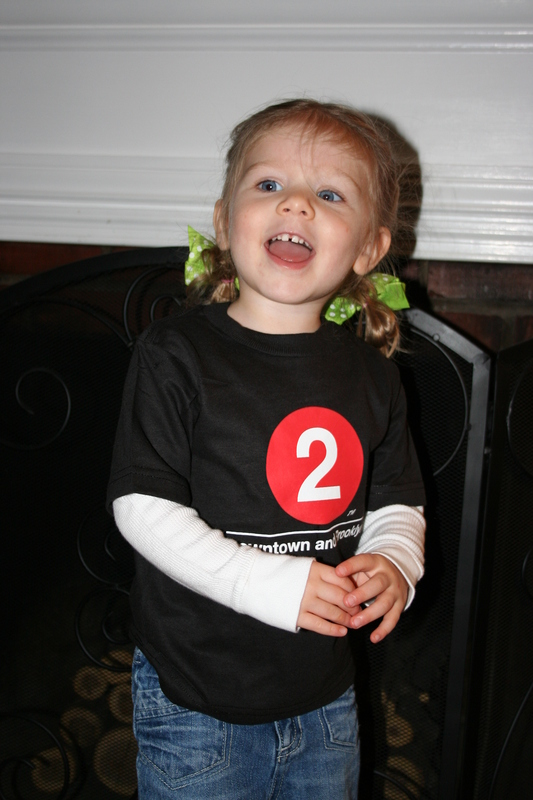 From Ballerina frou frou to Subway tom-boy, this is the most well rounded and versatile two year old I know. 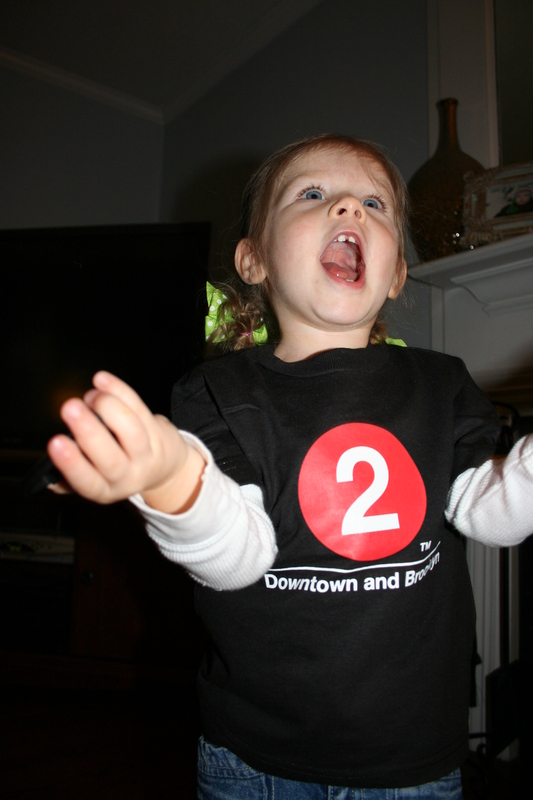 And what a performer…Perhaps acting is in her future. 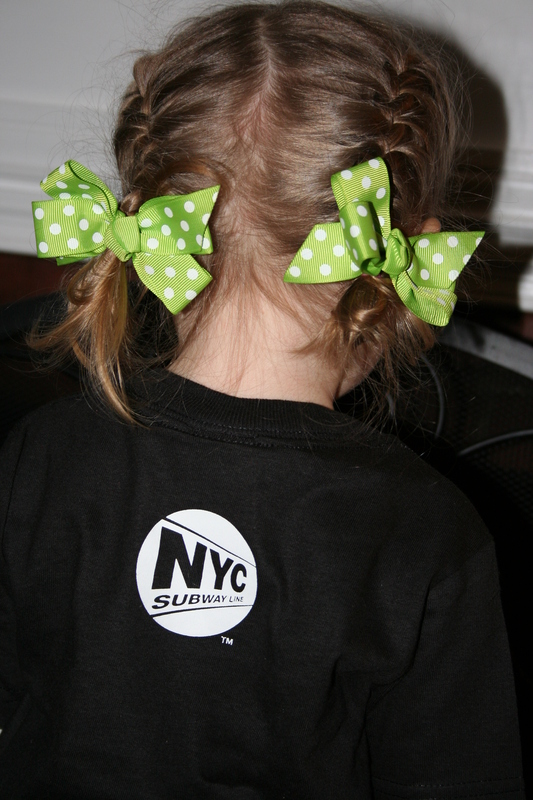 Love the hair…you are really getting good at french braiding!!! So good to talk to you both yesterday! There is a CBS in Overland Park and Olatha….FYI…Love you both! !